Flex MSE is committed to leaving the path behind us better than the one in front of us. Our Social Impact goals are mission critical to our Team. Here are examples of our outreach and areas where we are working to make a difference. If you’d like to join Flex MSE in some of our Social Impact and Volunteer works, or mirror what we’re up to in your community, contact us here! We’re big fans of Kiva and their approach to Micro-Loans, supporting communities and entrepreneurs around the world. If you’re interested in joining our Lending Team you can see what we’re up to here. Here are our latest contributions. 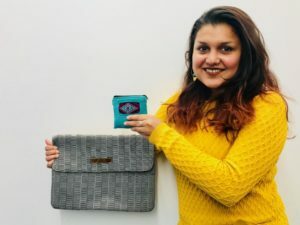 Fundación Mitz generates employment for low-income women in Mexico through the production of recycled paper accessories from international companies. Diana and her team produce bags, keychains, wallets, and jewelry from recycled materials. Each product is hand-woven and hand-sewn. The mission of Fundación Mitz is to empower women, allowing them to become economically active in their communities and their families. In 2018, Diana and her team plan to begin working with a new group of women in Chimalhuacán, Mexico. Diana plans to use her small loan to invest in new tools and raw materials to enable Fundación Mitz to expand to new communities and employ additional women in Mexico. This loan will allow Fundación Mitz to grow by more than 30%, create 90 jobs for local women, and increase sales. The organization also plans to hire new staff to support both domestic and international sales. The artisans pictured include Mariana, Aibesue, Michelle, Jesús, Marcela, and Judy. Elizabeth has three children. One is 11, another is 6, and the last one is 2 years old. Her family is her greatest motivation to get ahead. Elizabeth has a small plot of land where she produces coffee and cacao. She has devoted herself to agriculture for 13 years. One of her objectives is to expand her land in order to get better earnings for her children’s education. Because they need money, she and her husband work as day workers clearing other fields. 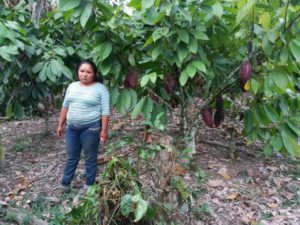 A small loan will help provide maintenance to her land and to put cacao leaves in place in order to have better production. Freddy’s father taught him to work raising livestock since he was little and, 10 years ago, Freddy began his project producing milk and cheeses. Currently, he wants to help his parents financially and improve the conditions in which they live. 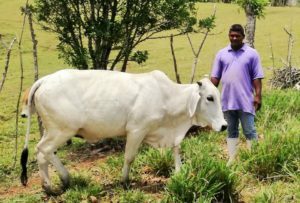 A small loan helped Freddy purchase three heifers which will allow him to increase his production and be able to sell more of his products. With this, he hopes that his production will be more stable and to be able to tend to his customers more efficiently and to help his parents. Mauricio is 47 years old, studied up to 9th grade in school. He has 4 children, of whom only his youngest daughter studies and the others already work. Mauricio has had a metalwork shop for 17 years. He has the shop at his house and when his children are there, they help him in the work. 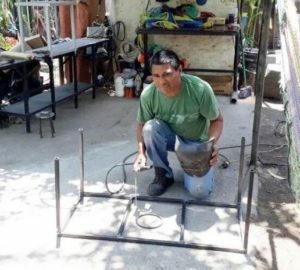 Mauricio will use the loan to purchase extensions, welding electrodes, and a polisher to continue working in his metalwork shop. He dreams of having another shop since his business is increasing. Jedidah is a single woman with 1 child. She describes herself to be committed. 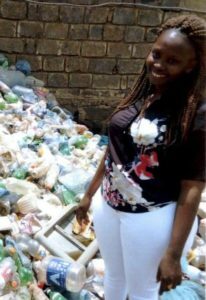 She operates a retail business where she sells scrap metal and plastics. Her business is located in a good area and her primary customers are locals. She describes her biggest business challenge to be inadequate working capital. She will use a small loan to buy more stock of scrap metal. This is her second loan, the previous loan was repaid successfully. Cinthya grew up in Redwood City in a household with traditional Mexican values. For her that meant community, love and hard work. Seeing the way her parents constantly pushed themselves and made moves to get ahead definitely influenced her desire to be an entrepreneur. Their lives taught her that she could create anything she could imagine as long as she was willing to put in the work and that if the situation required, she could get creative. They also taught her the importance of human relationship and what community offered to your overall happiness. Today, a small loan is helping Cinthya start a fair trade eCommerce platform that partners with indigenous weavers in Guatemala. She going to buy products from a women’s weaving cooperative in Guatemala. This loan will offer the women jobs and ensure that they are paid immediately upon finishing the products. This will allow them to offer financial support to their families. Meirif lives in Tumpang, Malang Regency on The Island of Java, the main island of Indonesia. In Indonesia, you cannot drink city water and most people don’t even have access to piped water. For this reason, most inhabitants of Indonesia boil the water before they drink it. Or, if they have the money, they buy bottled water. Meirif heard of a new option for disinfecting water when the promotion crew from Nazava water filters held a safe water training in her vicinity. Nazava Water Filters filter well, rain, and city water so it becomes safe to drink without boiling, and without using fuel or electricity. 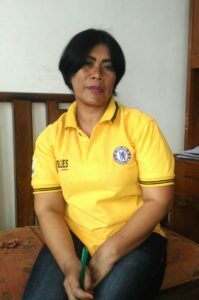 Meirif, who is also a health worker, took the opportunity and became the reseller of Nazava water filters in her community. A small loan helped to buy 27 water purifiers to sell to her community members, providing them with safe drinking water. YouCaring is part of the GoFundMe family and a great place to find opportunities to support a variety of social causes. Here are some of our latest contributions. William Franklyn Leathers was born and raised in Toronto, Ontario, Canada. 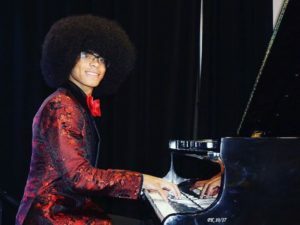 He’s been playing the piano since the age of four, and when he was 12 years old, became the youngest trumpeter accepted into the Toronto Symphony Youth Orchestra, as well as the Halton Mississauga Youth Orchestra! So it was a dream come true for him when he received an acceptance letter to The Juilliard School, since he would be one of only three trumpeters that were accepted to Juilliard that year. The biggest challenge for William, right now, is being able to cover tuition and housing expenses. His parents are doing their best, but right were in a bit of a funding shortfall. The total cost for Juilliard is $71,000 in US dollars per year for four years, which comes out to roughly $91,000 every year in Canadian dollars. Unfortunately scholarships and grants are harder to come by as an international student. So William and his family decided to turn to YouCaring to raise money to at least cover the first year. We’re proud to support William in a small way to help him realize his dreams and fully become the musician he has always dreamed to be! Learn about our Company and our Mission here. Learn about our Environmental Impact here.